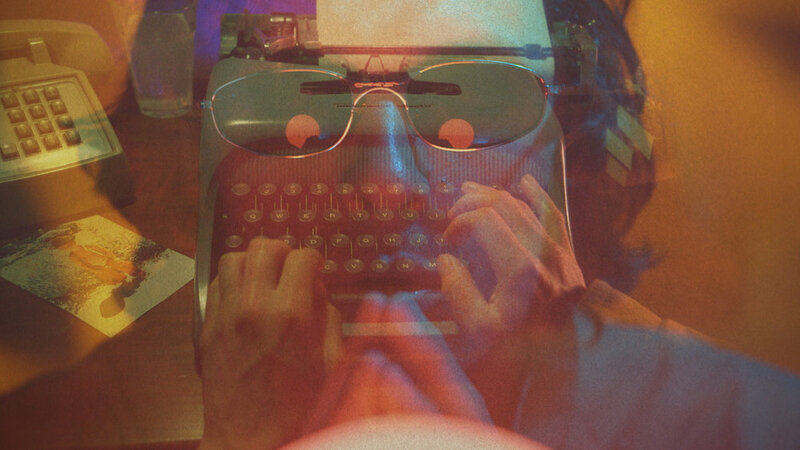 A visual comedy album following two drifters across the American landscape lost in a state of reverie. 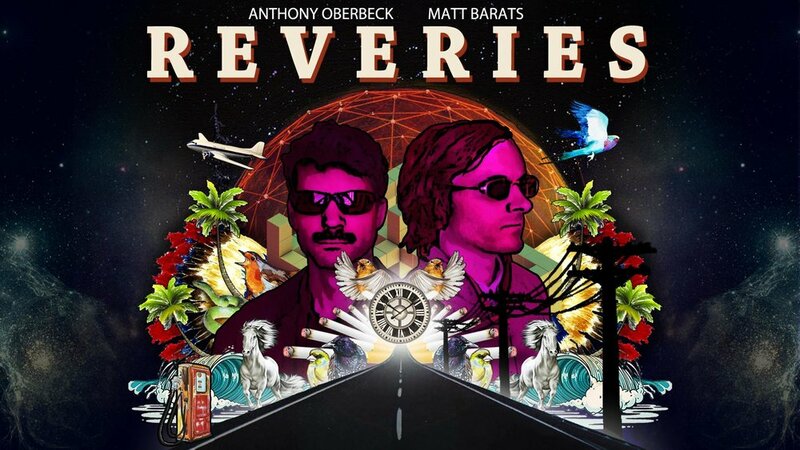 “Reveries,” created by and starring Matt Barats and Anthony Oberbeck, is an admirably extended gag on the myth of the artist, the nomad, the philosopher. Barats and Oberbeck, in drawn-out poet speak, offer a series of nonsensical musings and strange memories layered on top of abstract video montages and hypnotic soundscapes. “Ever since I got hit in the head with a softball, I don’t dream. I’m basically just lying there, waiting,” Oberbeck informs, while Barats later intones: “I had a rough day. I just found out no one else’s eyes can zoom. 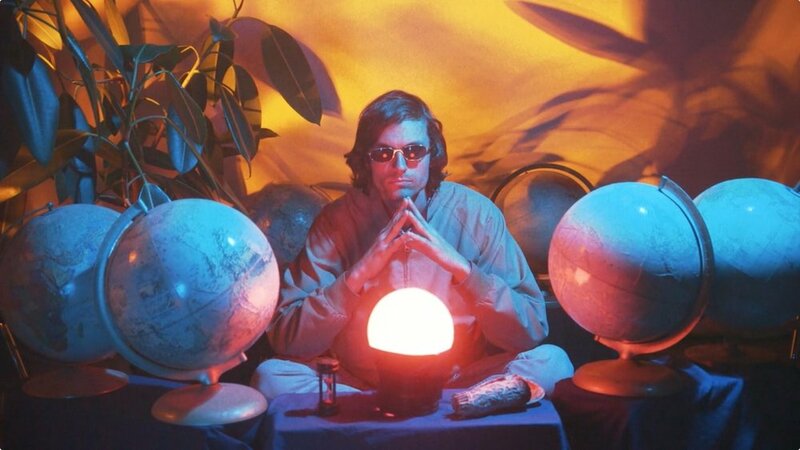 My eyes zoom.” Functioning both as a takedown on the self-important “artist,” and also as a legitimately strange set of deep thoughts, the 46 minute film certainly delivers on the fanciful and impractical, staying true to the opening def.i.ni.tion card. Earlier this year, Barats wrote and starred in “Improv is Love,” a gut-busting critique on performers with misaligned priorities. Oberbeck recently starred in “Walking Your Dog in the Park,” about a mystical dog petter and a strange encounter in the park. That film, and this one, was directed by Graham Mason, a NoBudge veteran (see also: “The Photos of Ana", and "Monkey and Man”). (46 minutes). Created and Written by Matt Barats and Anthony Oberbeck. Directed by Graham Mason. Original Score by Tim Joyce. Featuring: Ana Fabrega, Peter Smith, Wes Haney, Bardia Salimi, and Carmen Christopher. Studio Sequences: Director of Photography Matt Clegg. Edited by Graham Mason. Video Montages: Camcorder Operator: Matt Barats. Edited by Anthony Oberbeck.